Another painting of the view on Hyde Street in San Francisco. This view is always inspiring to me. I continue to try different compositions and to play with color combinations. The painting above is at Studio Gallery in San Francisco and will be part of an annual show called "Tiny." Details for the show are listed to the right. I am working on paintings for two other shows. 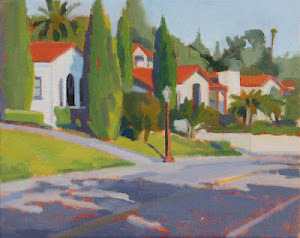 In December I will have new paintings at Elliott Fouts Gallery in their small images show. 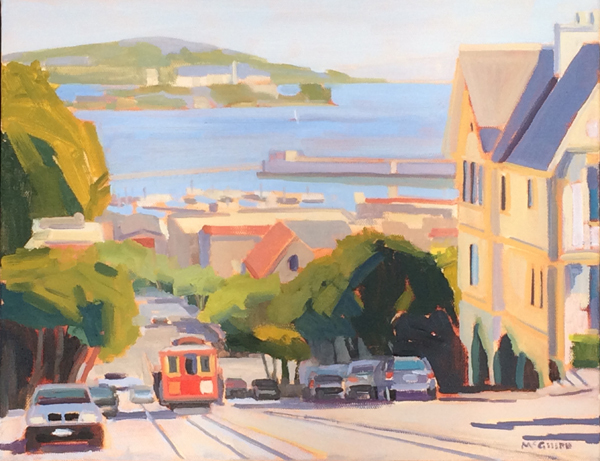 Also in December, I'm the featured artist at Viewpoints Gallery in a show titled "Santa Cruz to San Francisco."